Injuries relate closely to proper joint function, or more appropriately, to joint dysfunction. Problems at one joint usually show up as pain in the joint above or below. Purpose of this critique: On first glance (and still) of the JBJ I thought it was beautiful. So simple, so elegant. It is a common idea to look both above and below a painful joint to hopefully find the criminal that is creating the painful victim. So at first blush I loved it, but as I thought more about it, I kept seeing exceptions to the rule. And if exceptions exist to this theory, then maybe the theory is less useful and does not accurately describe function. This post is not specifically evaluating whether an assumed dysfunction at one joint leads to injuries at other joints (i.e. questioning regional interdependence), although I think that is important to do. I am merely pointing out exceptions in the tendencies at each joint and how these exceptions suggest to me that joints may not be governed by these tendencies and are obviously more complicated. If there are common exceptions at every joint then the JBJ does not accurately reflect reality. Of course you will find exceptions, but the more you work in exercise and rehabilitation, the more you will see these common tendencies, patterns and problems. Bret’s Notes: I agree – I could not have come up with the JBJ approach as I’m not that clever either. I think it’s a brilliant model and is incredibly simple and elegant. I've learned a ton through Gray and Mike over the years but everything should be questioned and scrutinized in the best interest of scientific advancement. I’m more of a biomechanics and CSCS, so I don’t have experience in physical therapy. But coaches and trainers typically train folks in various states of dysfunction, which gives me some confidence in critiquing the JBJ approach. Based on my limited experience in rehab, I agree with Gray in that the body tends to break down in the manner described below, and in general I’m a supporter of the JBJ, but like most models, it needs additional clarification. 4. The hip has a tendency toward stiffness and therefore could benefit from greater amounts of mobility and flexibility. This is particularly evident on range-of-motion testing for extension, medial and lateral rotation. It is theorized that if a joint moves away from this idealized function (and demonstrates the faulty “tendencies), one will experience dysfunction up or down the chain. This is termed regional interdependence. 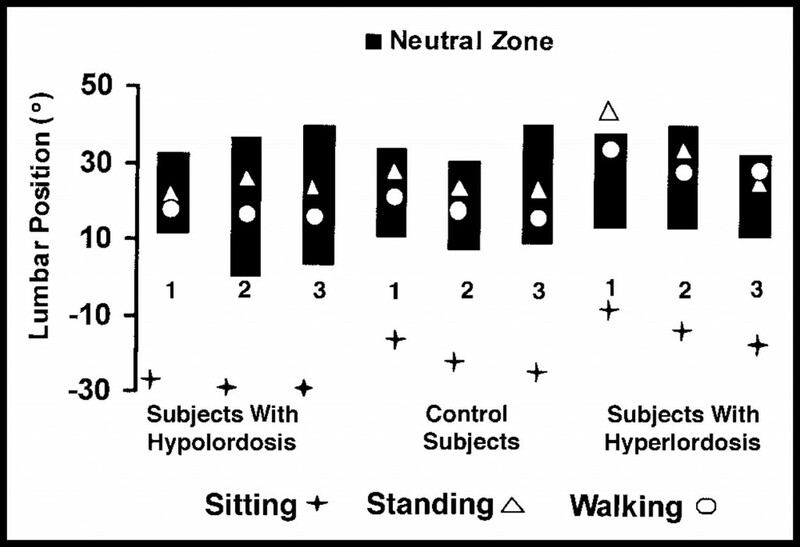 What I question is whether this is a useful or accurate viewpoint on human function considering that every joint has an exception to these tendencies and many of these exceptions are not just minor outliers. They are quite robust and prevalent. Bret’s Notes: While I agree with Gray’s summary and am a big proponent of the “regional interdependence” theory, I’m also of the belief that all joints need specific levels of mobility and stability training. I’m with Greg here – there are certainly lots of exceptions to the JBJ, and some of the exceptions are incredibly important, which casts doubt on the simplicity of the JBJ model. Having “instability” or too much movement of the 1st metatarsal (e.g. it dorsiflexes) does not allow the the MTP to dorsiflex. Therefore, you need stability at this joint for mobility to occur. Therefore the assumed deficit is a lack of mobility whereas the actual tendency towards dysfunction is a lack of stability. 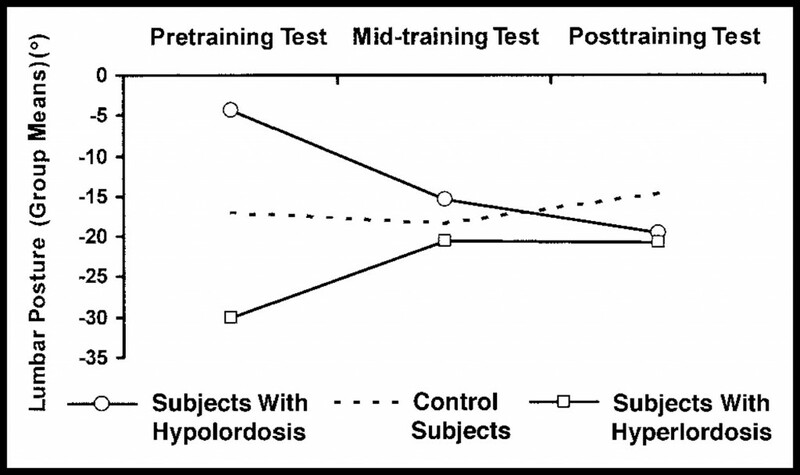 The perceived dysfunction at this joint is termed functional hallucis limitis and has been questioned by many biomechanists. See a review here. The pronation (or a sloppy midfoot) bogeyman shows poor correlation to injury. Yes, the foot must supinate (e.g. create stability) to lock out the midfoot for power production but we can’t assume that having a lot of pronation means that we lose force production and are at risk for injury up the chain. This has not been proven as a consistent risk factor for injuries yet it persists despite many reviews questioning its significance. The video below shows a former world recorder holder in the marathon and 10k demonstrating huge amounts of pronation. It is hard to argue that he is leaking energy or that this pronation leads to some other damage up his kinetic chain. This runner is 38, still running and still competing. An exception would be the tight calf muscles demonstrated in runners with a corresponding increased mechanical efficiency (a recent cherry picked paper here and here). There is also a lack of research linking tightness in dorsiflexion with prospective injuries. Further, I am not arguing that increasing flexibility will negatively influence the performance in runners. I have heard this argued and think the jury is still out. Here are a few abstracts showing no change in running economy following acute and chronic stretching regimes (here, here and here). Note, I did cherry pick here. There is some research suggesting acute stretching does influence running performance, point is, it is still up for debate. Final point: athletes can get by without restricted dorsiflexion in many sports. Do we always want to go changing this? Can you with certainty conclude that a lack of dorsiflexion is a true dysfunction? I think a massive post on restricted dorsiflexion and injury, form and performance would be cool. Any takers? Bret’s Notes: Greg raises some excellent points. I’m of the belief that lack of dorsiflexion is certainly dangerous in weight training as it can lead to form decrements such as lumbar flexion during heavy squatting. However, it’s probably not as dangerous for sports performance where you don’t have heavy weight on the back. Furthermore, there’s probably a big difference between the biomechanics of “stiff joints” in weaker, sedentary individuals versus athletes. For example, joint stiffness adaptations in athletes may be caused by a shifting of the optimal length and/or alterations in sarcomeres, titin stiffness, or connective tissue stiffness. However, in a perfect world, most coaches would agree that they want their athletes to possess sufficient ankle dorsiflexion ROM, so I tend to focus on what’s “optimal,” rather than what’s “acceptable.” Therefore I agree, with Gray and Mike; most people would benefit more from mobility-related training than from stability-related training for the ankle joint. Of course we need stability but do we actually see unstable knees except when a ligament is blown out? While laxity of ligaments (abstract here)may predispose to injury we can't see this with the naked eye. Depending on how you define stability, are you sure that it is the knee that is “unstable” when you see the knee looking sloppy? The knee just follows the path set by the hip. There isn’t an instability that can be seen or measured until you damage some internal restraint. We don’t train the knee for stability we train the hips in association with the knees. The knees benefit from the control of the gmax, gmed, gmin and hip rotators and on an unseen level the hamstrings. An exception to the JBJ rule is the type of mobility we need in our knees (i.e. the tendency for the knees to lose mobility). We need full extension. A loss of this following injury or surgery is huge for dysfunction. Check this link here. Further, we need the joint surfaces to translate and rotate – that is why some therapists do Mulligan techniques, manipulations or mobilizations. Bottom Line: The knees are stable because of what we do at the hips or the passive restraint system of the ligaments (untrainable). Mobility of the knee is also important. Because of these exceptions I don’t see there being a tendency to sloppiness at the knee because that sloppiness (if relevant) is from the hip and therefore I question the JBJ. Bret’s Notes: For the past few years, I’ve been heavily influenced by researcher Chris Powers, who feels that knee issues are almost always due to problems at the hips. However, a conversation with a high-level biomechanist in Auckland in addition to a couple of recent journal articles led me to believe that optimally-functioning knees are not just about the hips – we need strong quads to influence pressure distribution, strong hamstrings as co-contractors for stability, and I’m still open for VMO potential, but more research is needed in this area. So knee health is highly dependent on hip mechanics, but I feel the knee can be trained for improved stability and improved biomechanics, meaning that the inherent forces and stress distributions (patellofemoral joint contact area is increased via quadriceps strengthening, the ACL joint is spared from hamstring co-contraction, etc.) can be reduced through strengthening muscles acting on the knee joint. So I agree with Greg about the importance of hip stability but with Gray and Mike about the importance of knee stability. Greg's response to Bret: I am not arguing that knee muscles are involved in stability and health of the knee. What I want to emphasize is that the sloppiness we see at the knee joint is more than likely due to alterations in how the hip or spine controls the position of the knee or even the soleus. Poor mechanics of the knee are primarily controlled by something else other than the muscles that just cross the knee. Hip (assumed need – mobility). The rationale here is that if you don’t move in your hips you will move your lumbar spine and predispose yourself to injury. I love this idea and am reading a great PhD thesis by Janice Moreside (a student of Stu McGills) on this idea exactly. The obvious exception to the lack of mobility tendency would be the many biomechanists who argue that knee injuries are related to alterations in control of the femur (increased hip internal rotation and adduction). You can certainly make a strong case for hip “stability” being required to prevent injuries and certainly being a greater risk factor for dysfunction. Because of research funding and the difficulty of research, hip extensibility has less research supporting its relationship with injury. Regardless, these competing biomechanical rationales suggest that the JBJ theory has problems. The exception to the rule seems to be at the hip. The hip can be both immobile and unstable, resulting in knee pain from the instability–a weak hip will allow internal rotation and adduction of the femur–or back pain from the immobility. However, we can also question whether losses in sagittal plane range of motion does lead to increased strain, changes in movement at the lumbar spine and subsequent injury in the spine. I’ve questioned this before here. One example is the research that looks at individuals who have a loss of hip extension on a Thomas test don’t actually create more motion in the lumbar spines during running. Yes, this is one study and more needs to be done. I am just saying that this is again something worthy of discussing. Last, in Dr. Moreside’s PhD thesis, increases in hip extension following training were not associated with decreases in the amount of spine extension that occur with an active hip extension movement (I am following this up with a post summarizing Dr. Moreside’s great hip and spine research if you are interested in reading more of this). Hip Bottom Line: The Hips need both stability (motor control training, movement, strength, endurance) and mobility. Bret’s Notes: I am in complete agreement with Greg here. I don’t know what’s more “important” for injury-prevention purposes – hip mobility or hip stability, but suffice to say they’re both incredibly important. Hip instability begets knee pain. For more info on this topic I highly recommend reading THIS paper (click on the link and download the pdf). There exists research indicating that hip instability contributes to low back pain and anterior hip pain as well. The pelvis joint is completely ignored in the JBJ model. The pelvis needs mobility, but even more important is pelvic stability. I am of the belief that pelvic instability is a huge criminal in terms of creating mechanical insults to the spine. I’m not sure if Gray and Mike purposely left out the pelvis in attempts to simplify the model and allow for the “alternating” approach, or if they simply overlooked it, but I feel it’s time we started giving the pelvis much more attention. Many individuals are unable to adequately tilt their pelvis in various directions, and they lack the ability to dissociate the spine and the pelvis. If the joint doesn’t function properly dynamically then I doubt it functions properly statically. Individuals typically possess incredibly poor motor control in this region and could benefit greatly from static and dynamic strength training for the pelvis. Core stability doesn’t just involve the lumbar spine and hips; the pelvis is just as important. Furthermore, research has shown that muscle function is unique depending whether core muscles are acting on the spine/ribcage or the pelvis. I believe that this is a major area for future research and improvements in human movement mechanics and I have personally achieved success with my clients in implementing pelvic neuromuscular training strategies. I won’t even get into this. Too big, too messy, too contentious. I would just ask “do you think it is all that bad to bend your lumbar spine during simple unloaded activities”? Can you name 5 sports that see huge ranges of spine motion as being necessary for success in that sport? Do some athletes even use a flexed spine to lift heavy weights (although they can still be stable, a great study by Stu McGill is here. Lots of lumbar flexion during lifting but that position was buttressed with stability derived via cocontraction). Take a look at the range of motion in the spine in the graph below. Do you think it is only occurring in the thoracic spine? Please note, the pictures are not exactly linked with the ROM curves. Bottom line: the lumbar spine probably needs some mobility and stability. Bret’s Notes: The lumbar spine indeed loses considerable motility as we age, and while I agree that stability is more important than mobility in this region (research shows that increased spinal flexibility doesn’t reduce back pain, but again, I focus on what’s “ideal,” not what’s “acceptable”), I don’t feel that it’s ideal to accept mobility losses. Smart training can allow people to keep their 3D lumbar spine mobility (or even build lumbar spine mobility) while not posing too much of a threat for injury, as long as end-ranges of spinal motion are avoided. That said, even when we think we’re stabilizing the core, the spine is moving. This has been shown with squats, deadlifts, sprinting, and even kettlebell swings. Over time, with proper training, the brain probably figures out the best compromise between performance and spinal health and determines just how much ROM to allow in each segment and how much muscle activation is required in the various core muscles to “tune the stiffness” and stabilize in non-neutral positions. Greg's outrageous comment to Bret: This might come as a surprise but of the studies done to date there isn't consistent support that spine stability exercises are markedly more effective than other exercises (motor control exercise, graded exposure, general exercise) for the treatment of back pain. Pain is a separate beast and we have to be cautious in thinking that just hammering stability will decrease pain. Prevention of injury may be something different. Thoracic spine (needs mobility): I don’t have a strong exception that I absolutely stand behind. I just think that like any joint it needs to both move and be challenged with physical stress (stability). There are researchers that suggest the thoracic spine is also subject to the same form and force closure demands that the SI joint exhibits. I believe they might argue that “instability” or a tendency to sloppiness can also occur here if you look for it (see Diane Lee and LJ Lee in their Thorax book www.discoveryphysio.com). Just another exception to consider. Bret’s Notes: Sure the ribcage adds considerably to the t-spine’s stability, so this portion of the spine has a built-in stabilizer. However, some research shows that the thoracic intervertebral discs suffer from an alarming number of herniations just as the lumbar discs do. Of course, this isn’t well-correlated with pain, but I’m sure that most individuals “break down” in terms of erector spinae weakening and can benefit biomechanically from increased static thoracic extension strength, especially in weight-training. When under load, you can have all the mobility needed but without strength the upper back could round too far forward and cause problems over time. Furthermore, I feel that poor postural habits in addition to weak muscles contribute to the stiffening of the t-spine as muscle force is required to pull the t-spine into proper position in the first place. Scapula (needs stability): this one is easy using biomechanical reasoning. We need the scapula to get out of the way of the arm bone. There is cross sectional evidence suggesting that those with impingement type pain have less posterior rotation and elevation of the scapula. This joint has to move…it must posteriorly tilt and upwardly rotate. I suppose you could flip things on their heads and say that a lack of mobility in one direction is really a lack of stability in the opposite direction. The motor control deficit here is that we don’t control the scap to get out of the way. Again, I recognize that stability can be compromised when we don’t want the scap to move but the point of the article is to show that every joint has an exception and that all capacities are important. Glenohumeral (needs mobility): Well of course it needs mobility, can’t argue that, but biomechanically we also argue that the head of the humerus needs to be positioned properly in the socket…this is stability. Deviations from this (anterior or superior glide) are biomechanically considered to be linked with pain. Again, mobility and stability are both important. The tendencies at some joints can certainly occur and they might even be linked with pain and dysfunction (although, I think this can be debated in another post and was only briefly touched on here, e.g. pronation), but the point of this blogpost was to highlight how often we have exceptions to the JBJ. So we have observed tendencies but also common exceptions at the same joint. When we have this many exceptions to the JBJ rule we might want to consider questioning whether this is a theory that adequately describes human function. Is it even helpful if there are so many exceptions? What I would stress here is that Gray Cook probably already knows this stuff and would be flexible in his programming and assessments about function anyway. I bet he doesn’t even need the JBJ and nor do you. But, lots of other people may not view the JBJ with such flexibility and can become dogmatic and rigid. This post was for those individuals. Bret’s Notes: I’m sure that Gray and Mike are well-aware that each joint needs both mobility and stability, but the JBJ model is directed at dysfunction and portrays how the effects of gravity, poor posture, and sedentarism typically affect joint behavior. I still like the JBJ and teach it to my students, but I also point out the exceptions and stress to them that all joints need varying degrees of mobility and stability, and I especially stress the contentions at the hips and pelvis. The model created by Gray and Mike is both genius and useful, but it needs further explanation to be more complete. The exceptions pointed out above illustrate to me that most joints need both mobility and stability and we can make an argument to train capacity in all realms of joint function to maximize a happy body. I would even go so far to suggest that some tendencies to dysfunction suggested in the JBJ (and by Bret) are not even dysfunctions...just the normal variability that the body possesses. I disagree somewhat with Bret with the tendencies he suggested above. That is cool. My opinions are provisional and will certainly change with more information. Its interesting that you can't look at the same research and have different final opinions. Last, I won’t even discuss pain. The link between assumed “altered biomechanics”, “poor form” and future injury and pain is extremely weak and may even be non-existent. This is something again worth discussing, just not here.